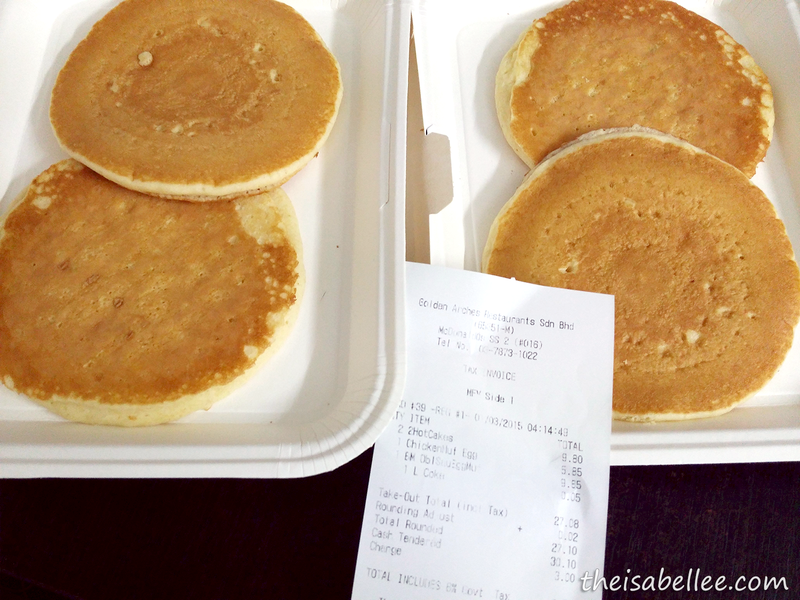 One day during Chinese New Year, we lepak until 4am so I decided to grab my beloved Hotcakes from Mcdonald's! 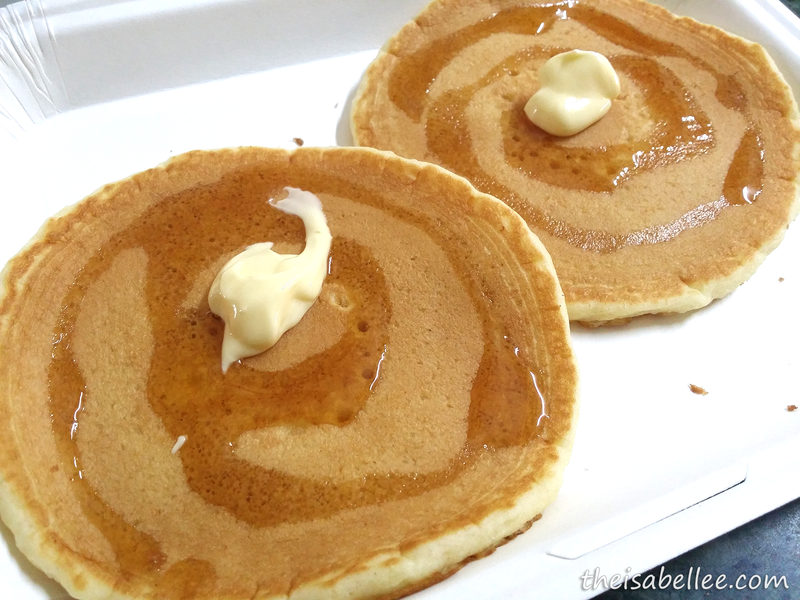 I never wake up early enough to eat them so I am so deprived of Hotcakes. Le Bf went to tapau them for me but to my major disappointment, they didn't come with any syrup, butter nor utensils like wth??? Plus it was cold already so it tasted really blergh.. Has this happened to anyone else? I lodged a complain on the McDs website and someone called to apologize and asked me to drop by the outlet to claim my replacement Hotcake. 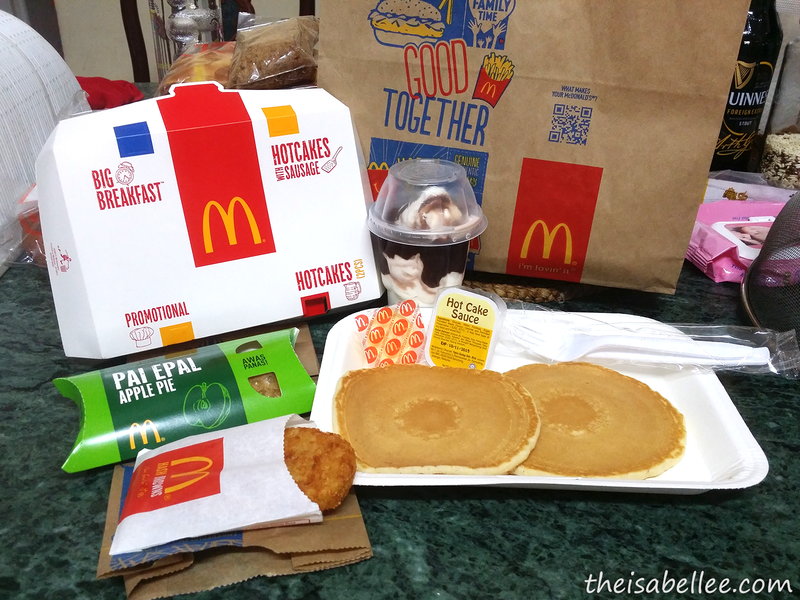 Not only did they give me fresh Hotcakes but some extras too. I double checked to make sure they gave me my syrup and butter this time lol Thanks ya.. Carlson loved the hashbrown. And if you haven't tried the Hotcakes already, you should! I admit they're rather pricey at RM 5 per plate (2 pieces) but it's so super yummy and fluffy! You might think I'm silly for sending in a complain just for pancakes. You won't understand the feeling.. After months of not having it then you finally get the chance but all you get is disappointment =( I promise to not fully trust the server 100% next time! P.S. Kudos to the McDs team for handling my complain perfectly!